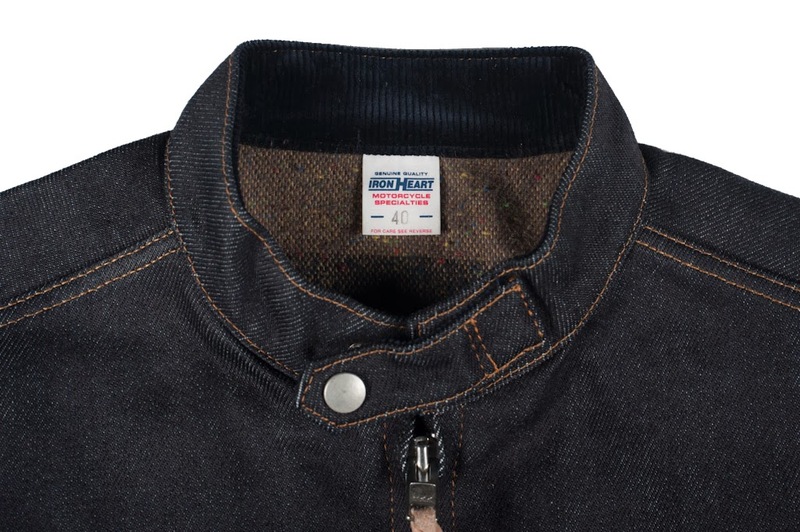 Question about sizing on the Iron Heart jersey knit shirt: if I'm a large in the IH 2013 Indigo Check Snap Shirt - Red, would I be a large in the jersey knit? The chest measurement is wider (44 on jersey vs. 42 on check snap) but the shoulders are narrower (17.2 on jersey vs. 18 on check snap). Probably due to the thicker fabric, but wanted to double check. Yup, the jersey knit runs true to most of IH's sizing, so i would stick to the same size even though some other measurements are different than what you currently own. 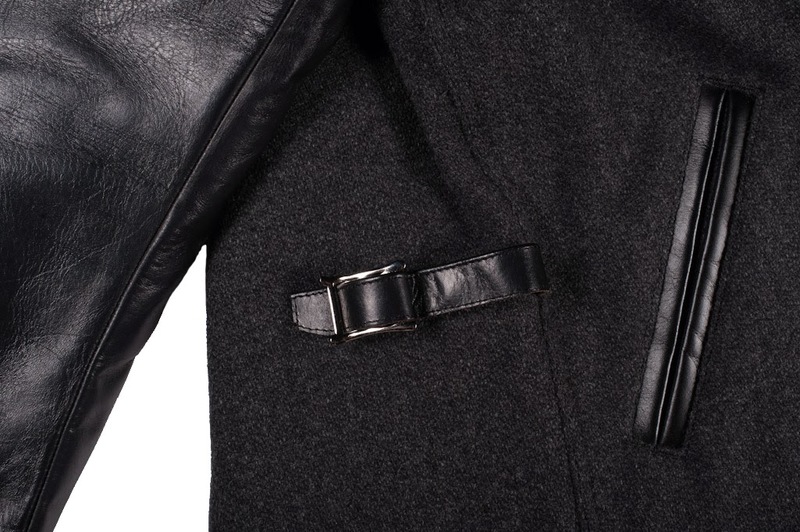 Any chance that the Mister Freedom leather campus jacket will get carried by you guys? I've found that some of Flat Head's recent 46s have been longer with longer sleeves. I'm an Iron Heart XXL/XXXL (this season ran small) and I would have bought this shirt if the shoulders hadn't been so wide. Nope, that's only going to be available at MF. They're both seriously good, the SG fabric is softer, i'd say that's the main difference. Also the SG ones shrink down to size where as the IH ones have already been rinsed. 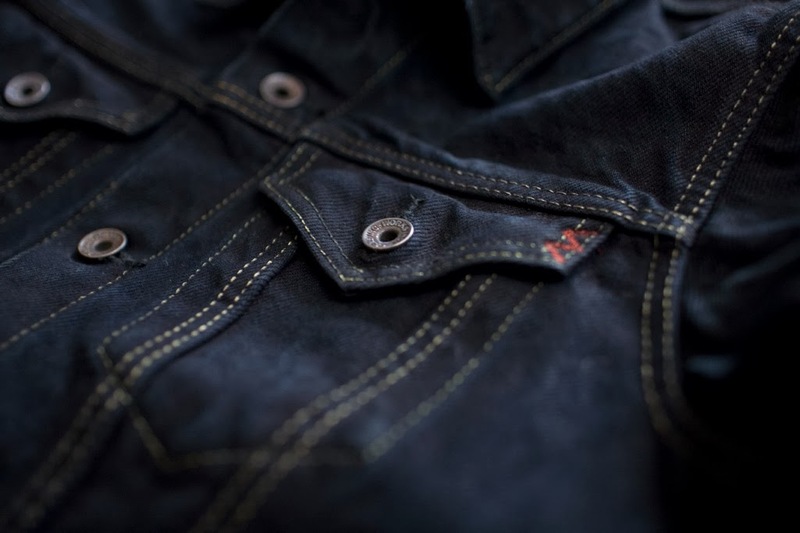 Total long shot, but do any of the stores have any of the SG denim workshirts in XL in stock? Nope, sold out. We're getting SG flannels in mid-December though! 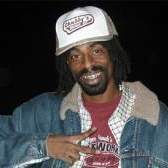 To which address/shop are online orders sent back for an exchange? Online exchanges go through SESF. 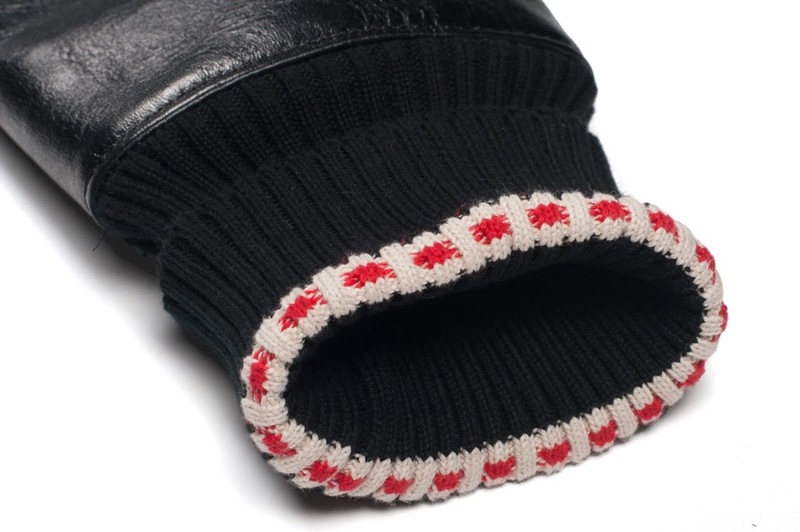 Any more sneak peaks of the upcoming IH collab? Also, is the current ETA still the 21st? The IH collab is coming the first week of January. 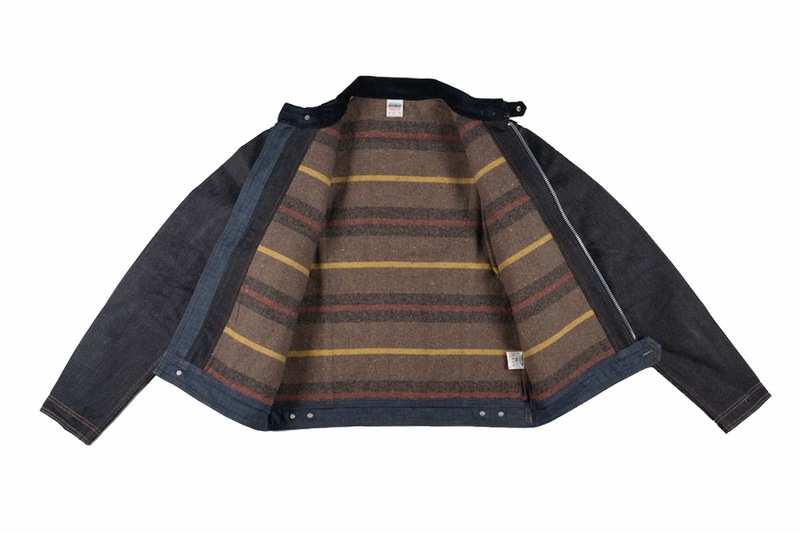 In the meantime, we did a super limited run of the Modified Overdyed Type III that we'll have next week! Yup, different fabric, the one coming out this week is overdyed. Wow! 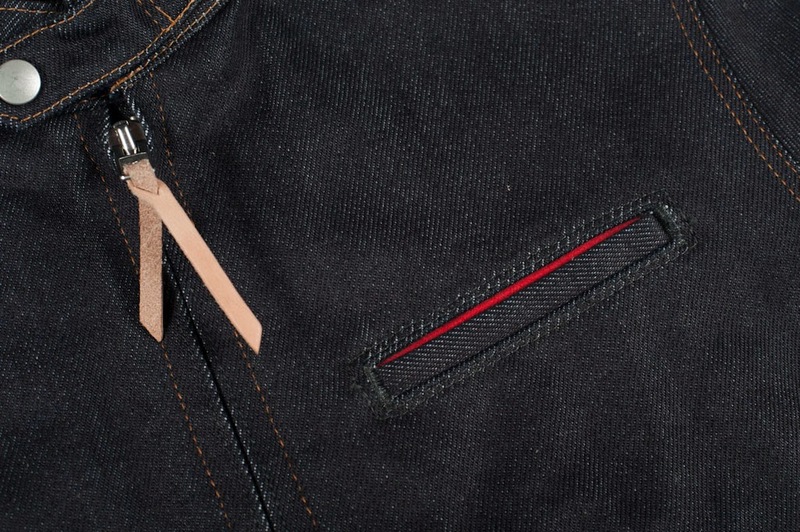 I've been waiting a couple years for a Type III with side pockets and now there will be three versions released by Iron Heart in the next couple months (including the left-hand twill trucker). How will I choose! @kiya is the black mint dobby stripe shirt cut smaller than other fh shirts? should i size up from my normal fh shirt size on this one? I wear a 40 in all FH shirts and i'm still a 40 in the dobby. Just keep in mind that all snap buttoned FH shirts are slim cut while ones which are workshirt style are fuller cut. Kiya, did any of the SE stores take stock of the raw and/or stealth versions of the Beatle Buster cut? I'm about to pull the trigger on the FH Sawtooth denim shirt, but the sizing looks a little different from the other westerns and it seems like I'm in between a 42 and a 44. Is this a shirt that people usually size up in? I normally wear a 42 in the westerns. Get the 44 if you're in between sizes, they've been rinsed and shrunk a bit in the rinsing process. 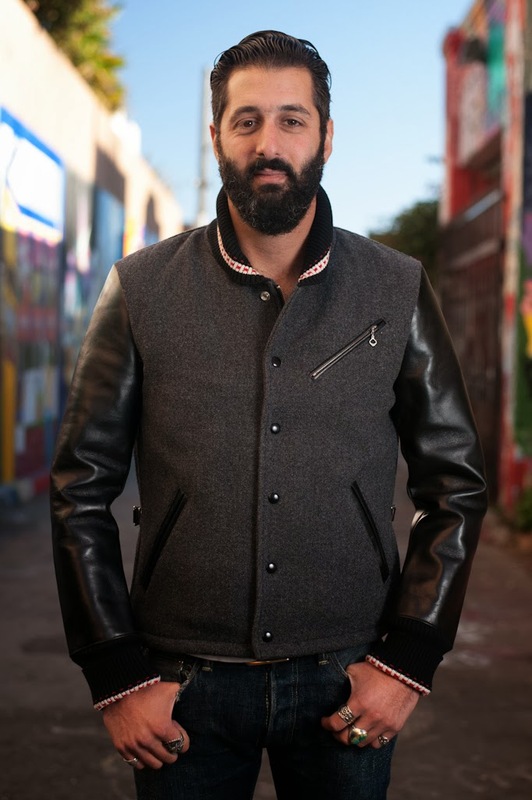 Dry Bones has just delivered a very fresh looking leather and wool jacket. 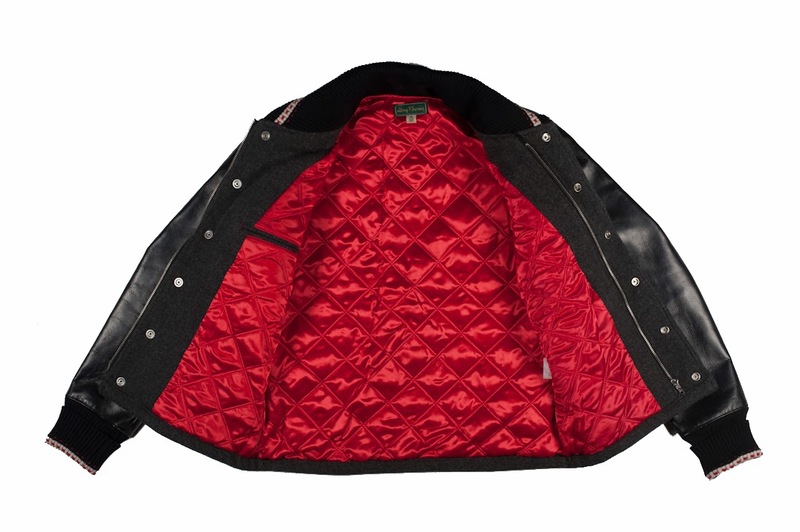 This jacket has black leather arms on a dark gray wool body with "redline" ribbing, a quilted red nylon lining, leather trimmed pocket openings, and both a zippered and buttoned front placket. They nailed every detail of this thing. 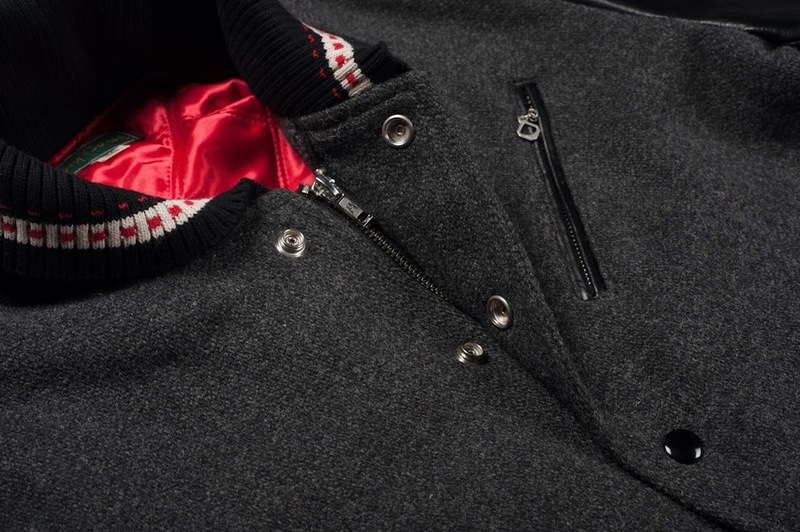 This jacket is available now at all of our stores and in our online store. Check the product page for measurements, high-res photos, and a spec list. Saw that the other day. 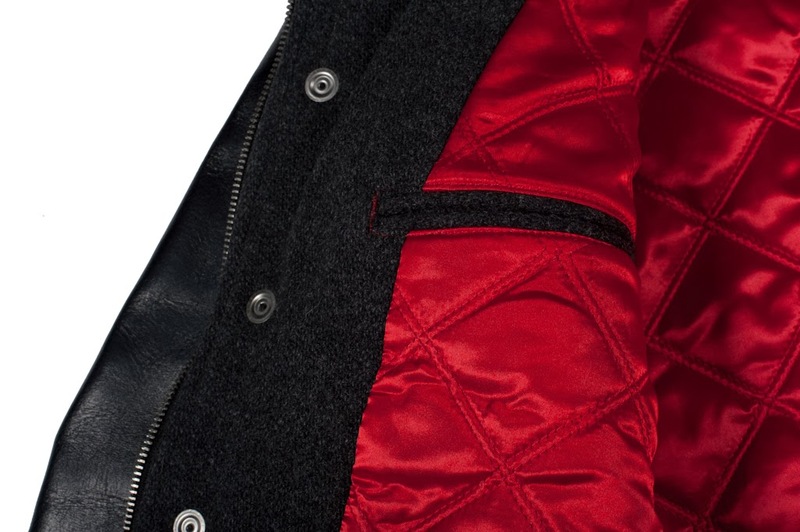 Such a great looking jacket. Good call bringing it to the store! 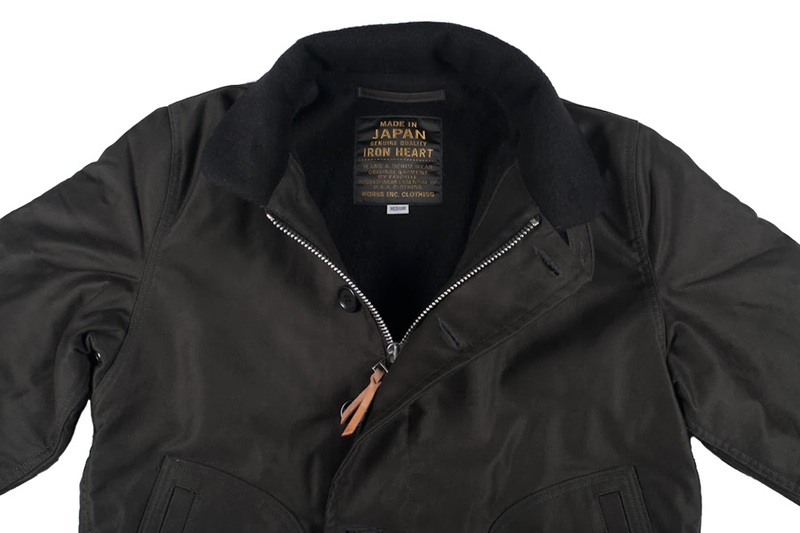 Just in time for the coldest months of the year we have three Iron Heart releases to keep you warm and looking good. First up we have a jacket that we've redone due to many requests from our customers which didn't get to pick one up during the first two runs. 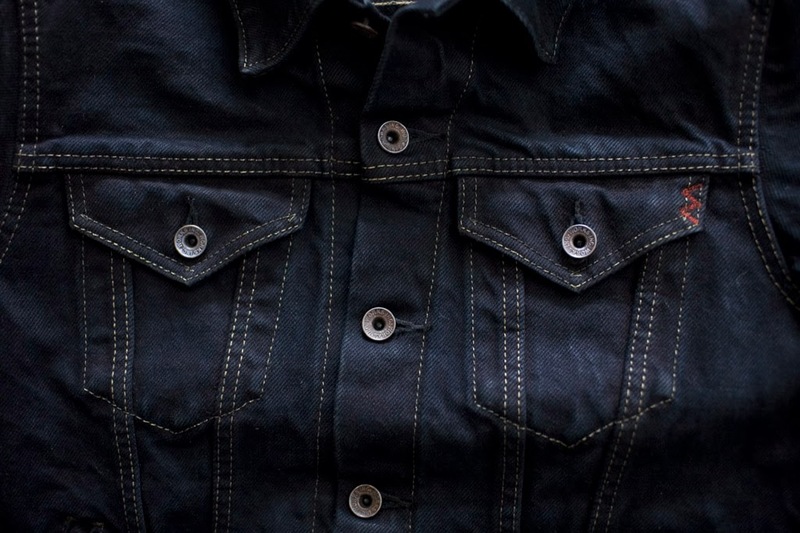 This is the SEXIH07IIIBK overdyed modified Type III denim jacket. 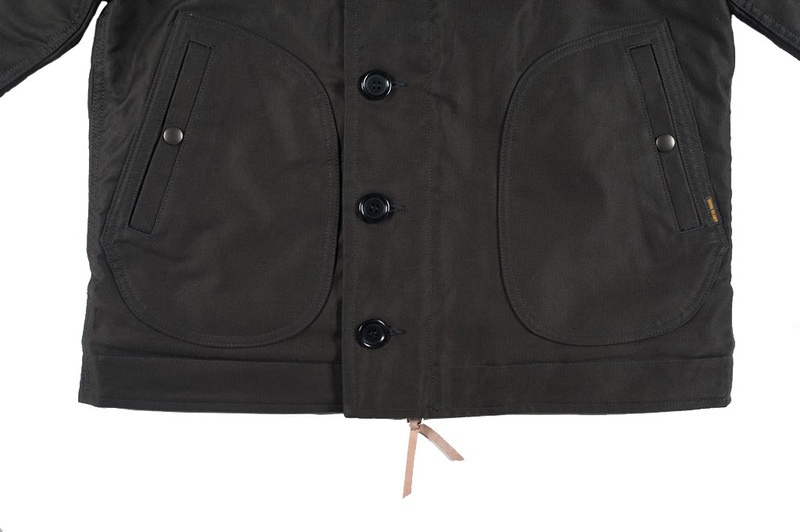 This is a Type III style jacket which we've had hand pockets put in and the body length has been extended by 2" so that it can be worn with an untucked shirt or t-shirt. 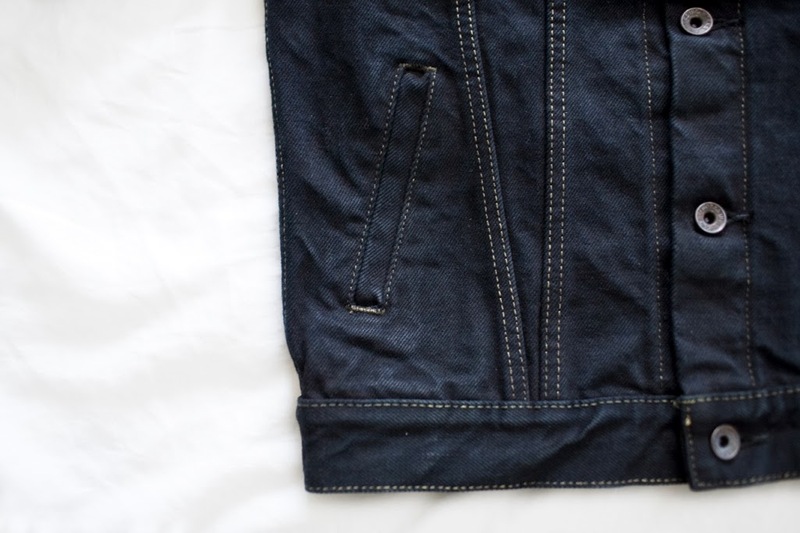 The denim is originally from the SEXIH07 jean, an unsanforized 19oz indigo denim which is then garment dyed black. 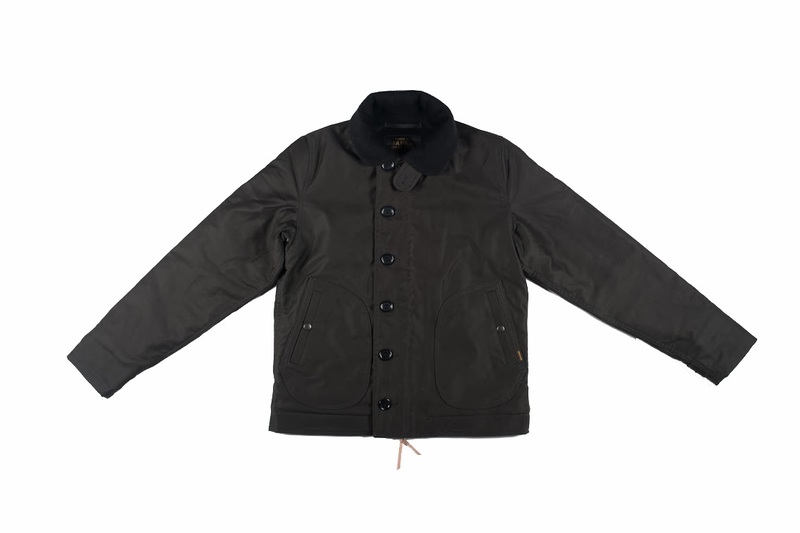 The jacket starts off a super dark indigo/black and ages over time with an amazing hue of blue/black. 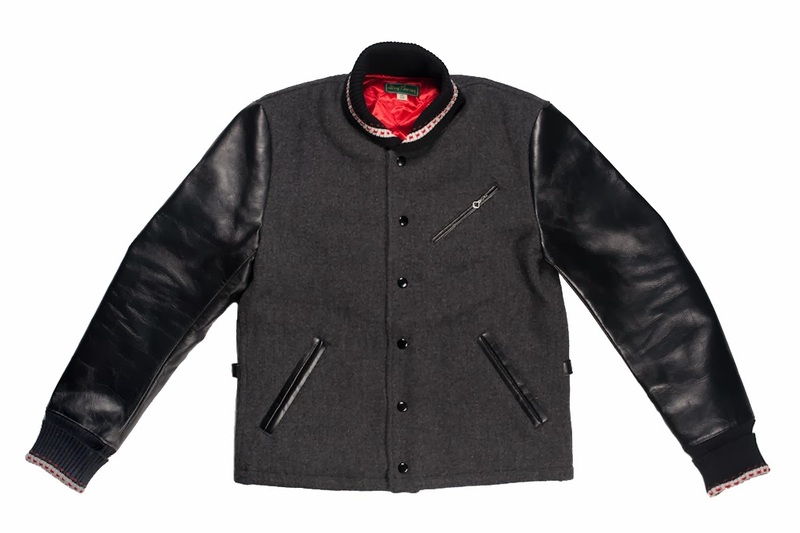 Next up we have the newest version of Iron Heart's N-1 Deck Jacket. 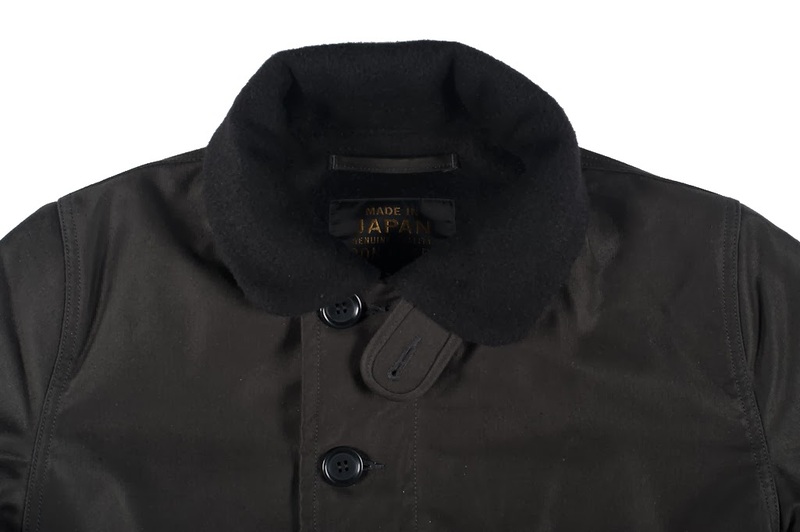 This year they've added an alpaca lining to the jacket, making it the warmest version thus far. 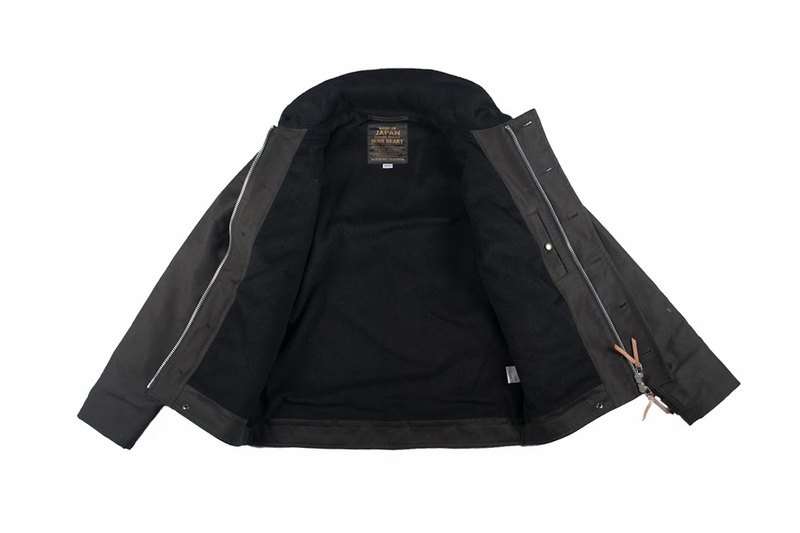 This jacket comes with a double YKK zipper, snap enclosure inner pocket, and knit storm cuffs. 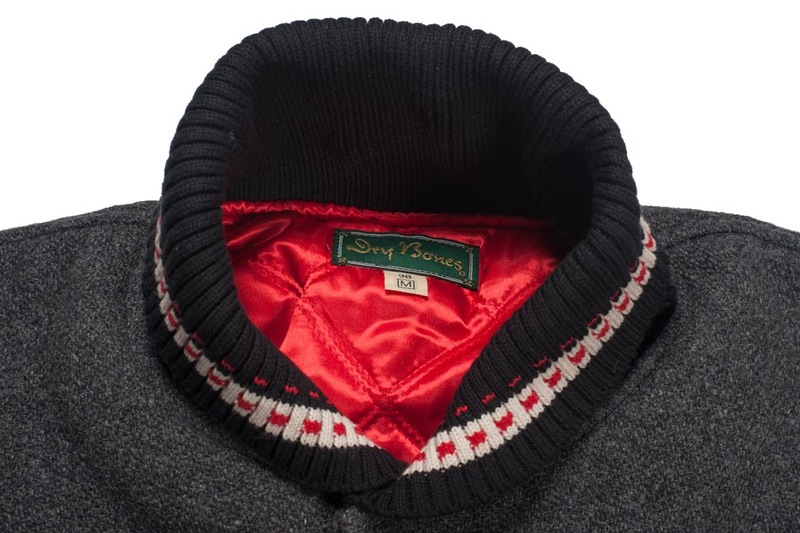 Great warmth and funtionality in a very classic jacket style. 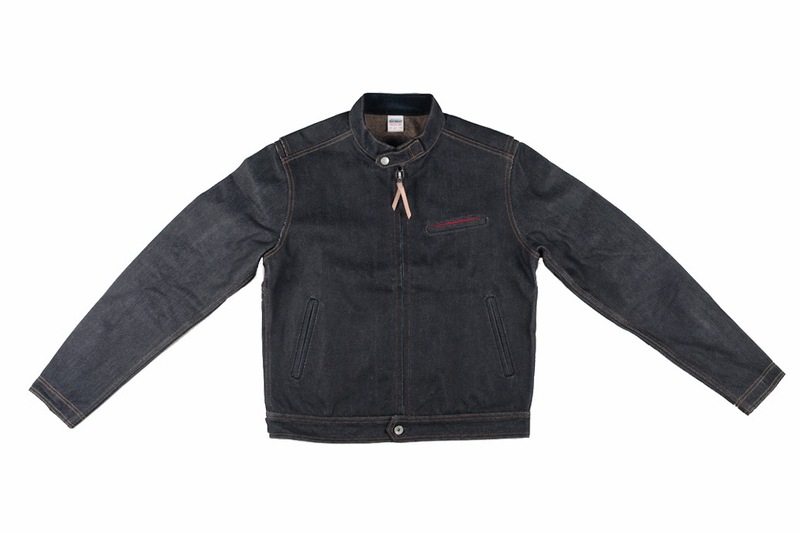 The most tried on jacket at our stores for the past seven years has been Iron Heart's rider's jacket which is available in both indigo and black. They've now done a new version which has a blanket lined body and quilted satin lined arms. These are done in limited numbers for this season. All three of these jackets along with a restock of all jean models, belts, denim jackets, vests, and wallets are available now at all Self Edge stores and in our online store. Kiya, does this shirt taper noticeably through the midsection? It's a workshirt but it's rjb so I'm a little unfamiliar with sizing.